Your most easy-to-access storage for everything from cars to messy projects. Not sure where to store your car, ATV, snowmobile? Not sure where to work on that large or messy hobby? Need more space for a man cave, workshop, or office space? No garage is too large. Garages inevitably fill up. Easily make your garage larger (fit more cars) or higher (try a two-story garage) to future-proof your growing storage needs. The most versatile structure you can buy. Customize to your garage’s purpose. 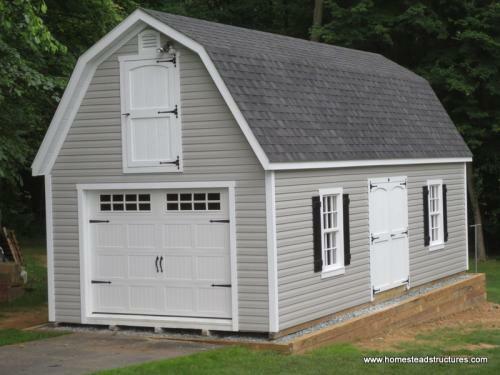 With such a multipurpose structure, it is paramount to build your garage around exactly what you need. 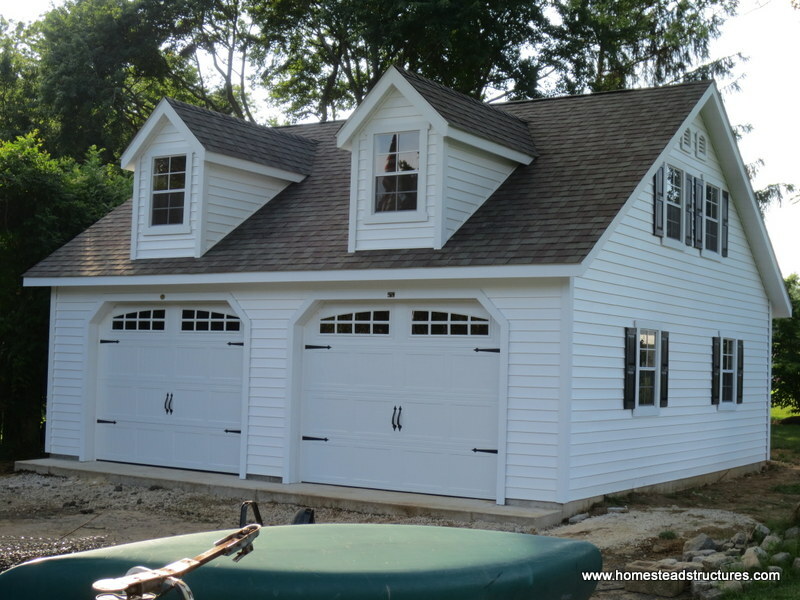 Get a detailed, catered custom garage design to perfectly match your requirements. When you start running out of space… just call 877-272-7252 to talk to the experts. If you start imagining more garage space, you’ll see how easy it is with our practical advice. 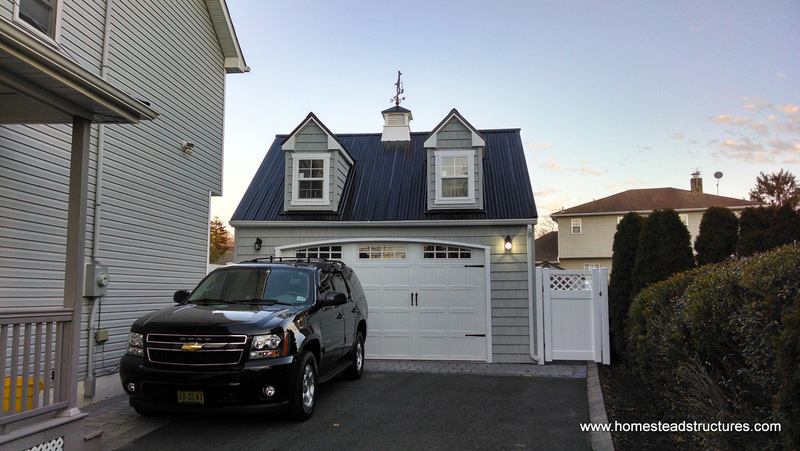 At Homestead Structures, we know you may be considering a prefab garage for more than just your vehicles. Many of our customers find that a custom garage also makes a great woodworking shop, mechanic's garage or hobby studio. The possibilities really are endless! 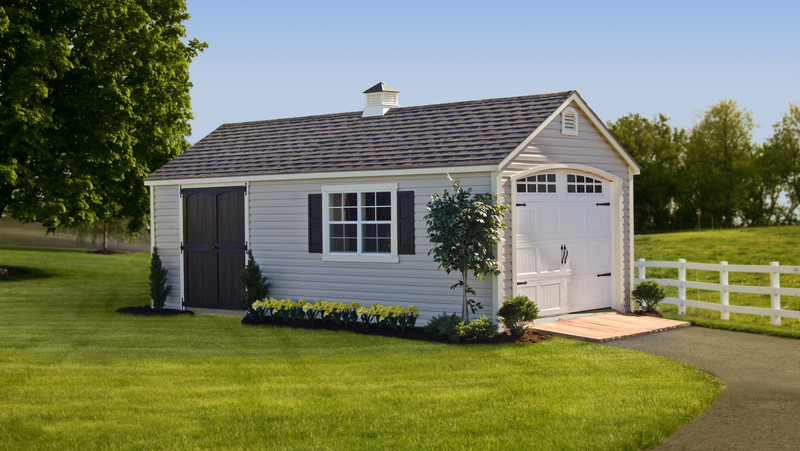 No matter what you decide to store in your new prefab garage, our garages are built with quality in mind. Since 2003, Homestead Structures has been building custom sheds, garages and more, all built by Amish craftsmen who live and work in our community. From our simple one-car garage designs to our detailed multi-car, 2-story models, each of our garages is a custom garage, built just for your needs. Need to add more windows? Want to incorporate arched doors? Need to move the door from the center to one another side? No problem! Have your garage your way, when you work with Homestead Structures. When you work with us to build your custom or prefab garage, our main goal is to ensure your complete satisfaction. We'll go over every detail or our prefab garages with you before we build them to ensure everything is just the way you want it. And we'll explain our delivery and installation procedures in detail too. Plus, we're always available to answer your questions or handle any change requests you have, so don't be afraid to ask! Want to find out more? 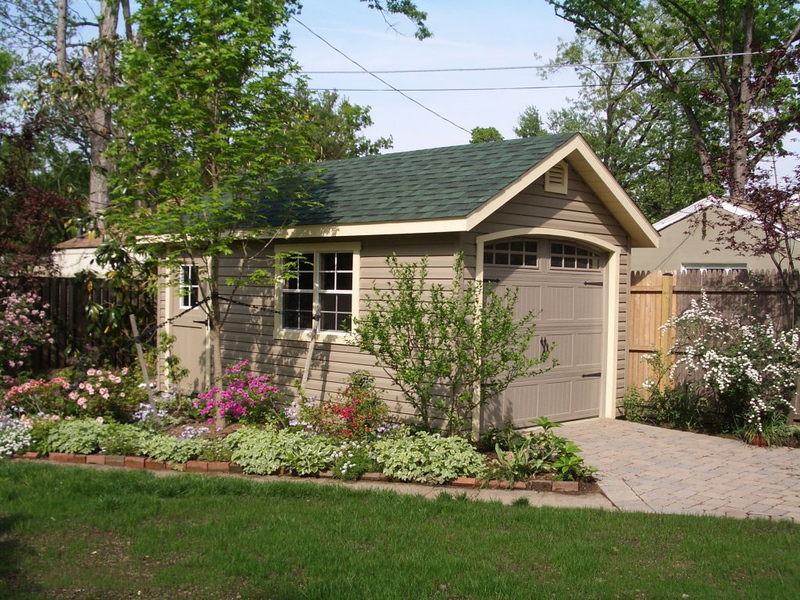 Contact us today to get started on the perfect garage for your backyard. Whether you need a simple one-car garage to store a priceless vehicle or motorcycle or want a larger garage for multiple vehicles, Homestead Structures offers a garage for every need. Our prefab garages are assembled onsite so they can be placed exactly where you need them too!